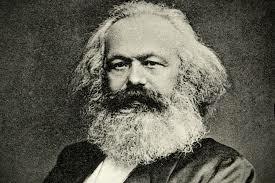 The Communist Manifesto was published in 1848. That’s a long time ago. And the communist revolutions of last century have ultimately failed. So what would a C21st version look like? That’s the aim of an exciting new project that seeks to ‘save Marx from the Marxists’! Present-day “Marxists” totally oppose this view. Their anti-capitalism is reactionary. They believe capitalism is destroying much of the past that should be preserved and is leading us down a path from which we must retreat. There are no prospects for their backward looking project and if there were it would be self-defeating because we would be simply reverting to conditions that history shows would eventually bring us back to where we are. In their day Marx and Engels had to contend with similar trends and, indeed, a section of The Communist Manifesto is devoted to them. The message of The Communist Manifesto of course is also ignored by those for whom capitalism is the best of all possible worlds. It gets in the way of their “communism has failed” mantra which they base on abortive revolutions in backward essentially pre-capitalist regions during the 20th century. This experience in fact only confirms the message that communism can only successfully emerge from advanced capitalism.